Imagine yourself at 70. Then imagine yourself doing deadlifts to keep in shape so you can keep cosplaying. At 70. Shirley Chua is a treasure. The Singaporean, a former beauty pageant contestant, has found a contemporary way to get back to her modelling days by cosplaying, and talks all about it in this interview with The Good Guyde. 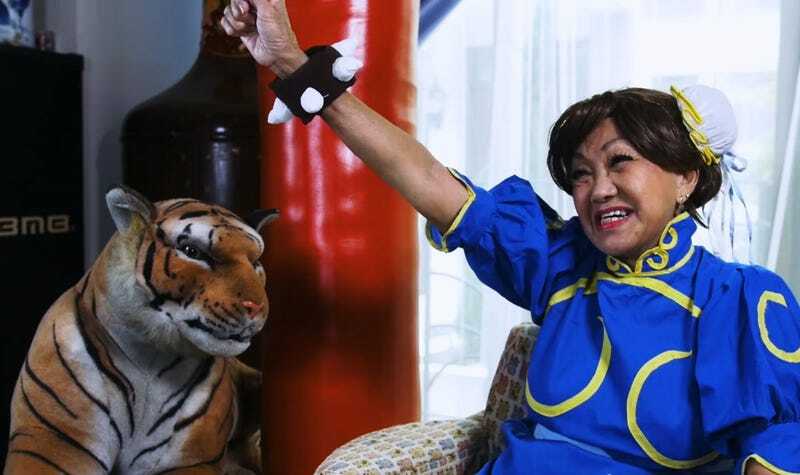 She stays in really good shape for someone that age, and aside from the Chun-Li outfit she wears during this interview has also made costumes from Overwatch and Kill La Kill.